Dr. Shapiro presented an open paper on the connection between hair loss and a common workout/nutritional supplement, whey protein isolate, at the International Society of Hair Restoration Surgery (ISHRS) Regional Conference in Istanbul, Turkey on Saturday, May 14, 2011. At “The Next Big Thing: Hair Research and Advanced Live Surgery Workshop,” the hair restoration surgeons and researchers gathered to explore the latest research on hair biology, watch live advanced FUE surgery demos, examined ACell applications and more. The conference focused on the Follicular Unit Extraction (FUE) method. This ISHRS Regional Workshop is hosted by Melike Kulahci, MD. Dr. Shapiro’s paper examined the connection between hair loss and lifestyle products, especially anabolics that elevate testosterone and DHT. These lifestyle products include steroids, creatine, growth hormones, weight gainers and whey protein isolate. Dr. Shapiro wanted to develop a product for working out that did not cause hair loss. He researched whey protein production and found out that significant changes happen when whey protein concentrate is processed to create whey protein isolate. 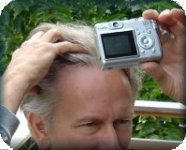 He became concerned that this additional processing may increase testosterone, which could contribute to hair loss in men prone to male pattern balding. Therefore, Dr. Shapiro studied whether using whey protein concentrate as a nutritional supplement would not contribute to hair loss, as a substitute for whey protein isolate. He researched vitamins, minerals and traditional herbs that may enhance the hair. Based on this research, he developed an enhanced whey protein concentrate formulation (EWPC) called Help Hair® Shake that included selected hair-enhancing supplements. Dr. Shapiro encouraged his hair transplant patients to start taking the EWPC after their hair transplants and noticed that their transplanted hair grew in more quickly than expected. Usually, transplanted hair goes “dormant” and patients must wait 9 months or more for the hair to grow in. He conducted a study of 115 subjects to chart their transplanted hair growth after a hair transplant and taking EWPC twice daily. The results showed that the subjects taking EWPC had significant growth 12 week after their hair transplants, while the control group had no significant growth. A follow-up study of 52 of these subjects showed most patients (89%) had complete growth 6 months after their hair transplant, while the controls took 9 months to have complete growth. The “Next Big Thing” conference attendees had not heard of this research before. The information about Help Hair Shake was well-received. Hair transplant doctors (click for photos) from Australia, Brazil, Finland, Germany, Norway, Poland, Scotland, Singapore, Spain, Sweden, Switzerland, Syria, and Turkey have recognized the significance of Dr. L. Shapiro’s for accelerating follicular restoration after a hair transplant. Combining a hair transplant with EWPC is called Accelerated Follicular Restoration™ (AFR™). Dr. Shapiro is offering to train these doctors to become AFR physicians. 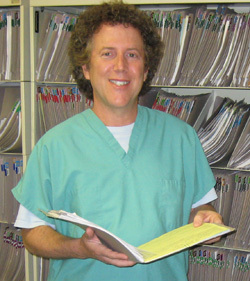 Dr. Shapiro is a hair transplant doctor with practices in South Florida, USA. Since 1989, he has performed over 11,000 hair transplant procedures. A dermatologist, he specializes in hair loss treatment exclusively. This entry was posted in Baldness, Community Events, General, Hair Transplant, Hair Transplants, Health - General on May 15, 2011 by Larry Shapiro.